For many institutions, iLab is integrated with their authentication system. If this is the case, you will have been provided with an institution-specific link (for example institution.ilabsolutions.com, institution.corefacilities.org or institution.ilab.agilent.com). Important: even if you intend to visit a core at an institution other than your own, you should still log in using your own institution's login link. Once you are logged in, you can then go to the external core using a direct link provided by that core or by using the List All Cores‍ page. Click on the "here" link in the top box to be sent to your institution's authentication page. From here, authenticate with your institution credentials, after which you will be redirected to your destination in iLab. Note that the page also gives you an option to log in with iLab credentials (if you are visiting this page from another institution), as well as the option to register as a new user if you do not yet have an account. 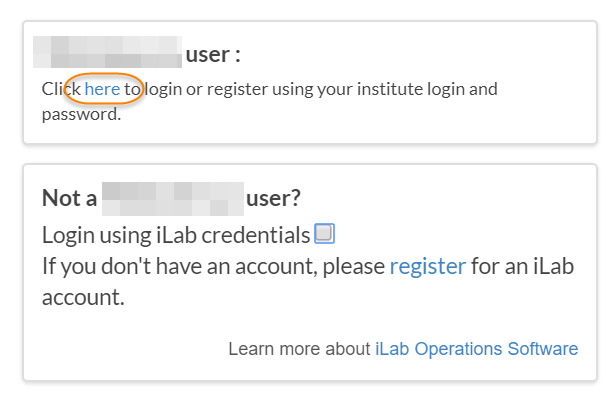 If your institution does not have an ID Integration with iLab, you will use iLab-provided credentials (username and password). 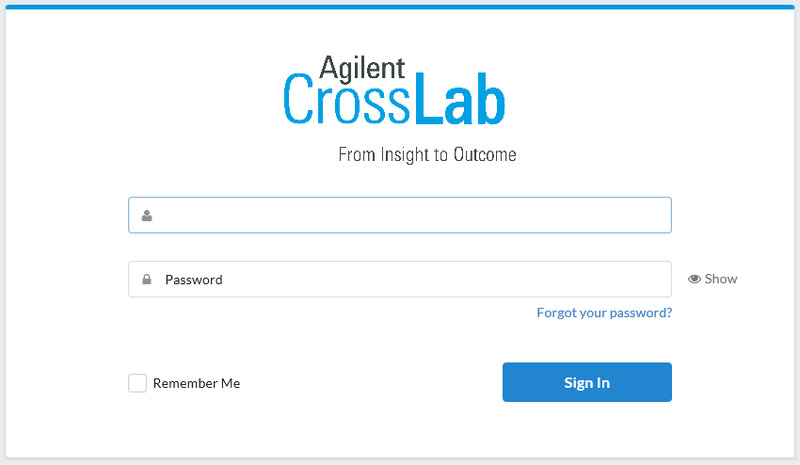 Simply complete the Username (first field) and Password and click "Sign In" to access iLab. Please Contact Support‍ if you have any issues logging into iLab.